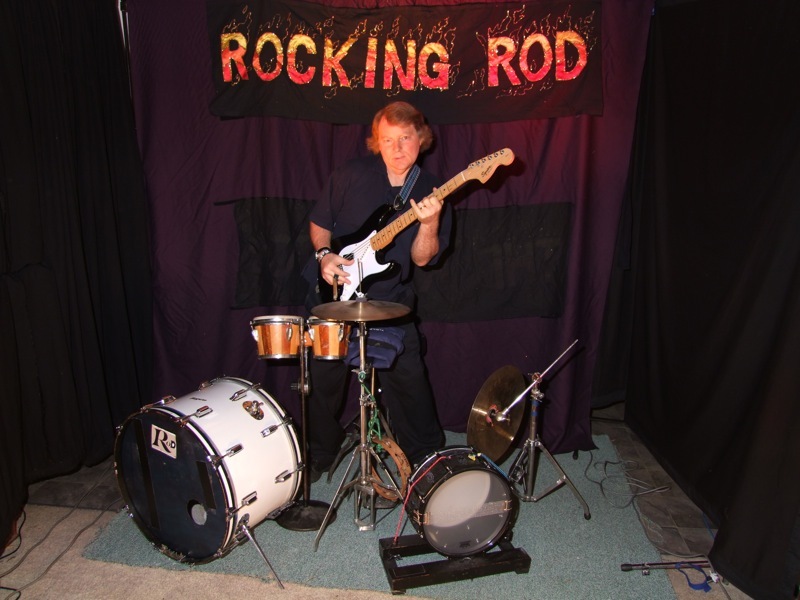 A bit of Rod’s history in music - Rod started playing drums at age 12. Over the years he has played and helped back various bands and artists with different styles ranging from Country, Rock, Rhythm & Blues, Rock ‘n roll and Cabaret. 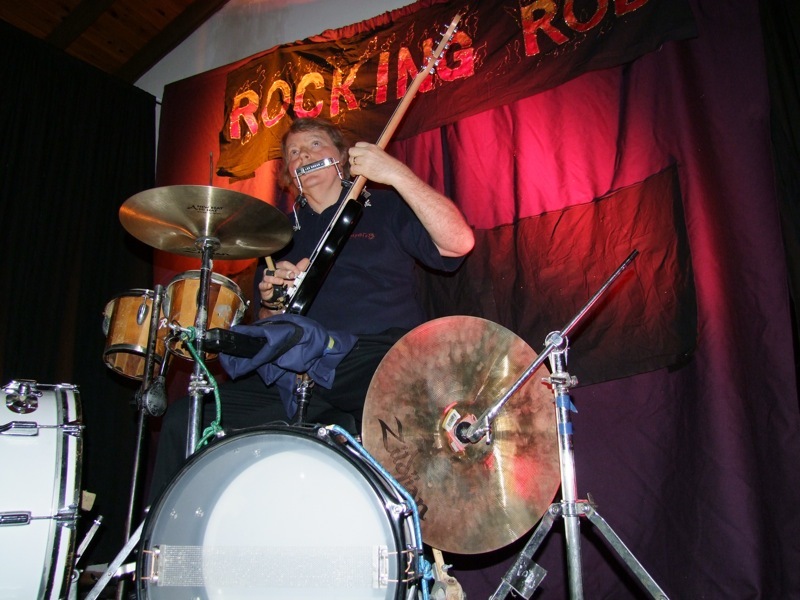 As a drummer, Rod has backed and gone on tour with some of the following artists: The Drifters – renounced for their world hit “Under the Board Walk”; Col Joye - 60’s star; Maria Dallas; Pat Gabbie and his fashion show; International Star – Jade Hurley. Rock n’ roll:- Quick Silver (as their bass player). Rod has experience with session and studio work on other peoples C.D.’s and has written, composed, arranged and produced his own Instrumental C.D., Childrens’ C.D. and Gospel C.D. 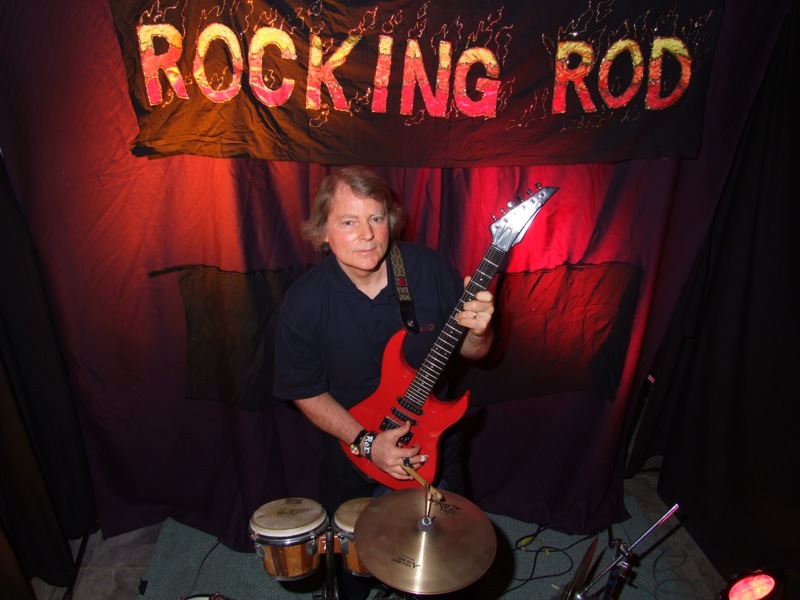 Rod’s newest venture is his One Man Band Show in which he plays a minimum of 3 instruments at once while he sings, at times adding the harmonica in as a 4th instrument. 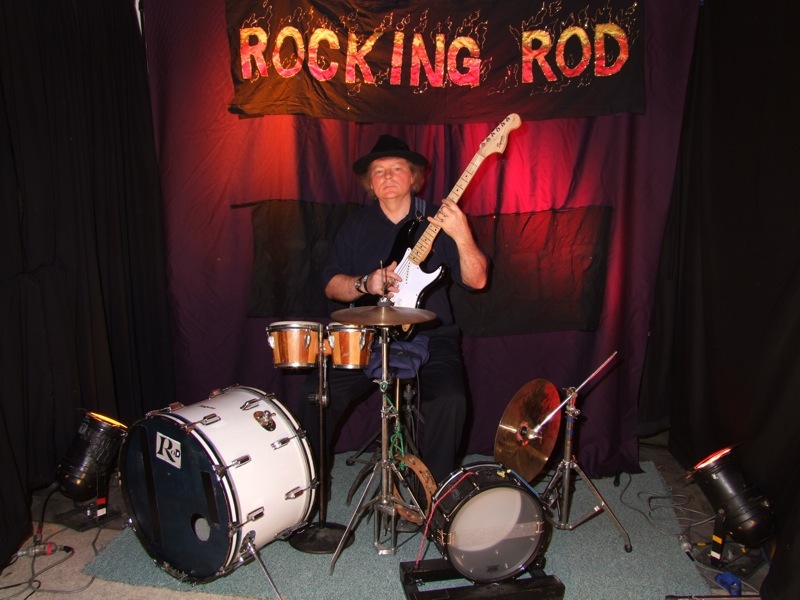 His repertoire covers a wide range of music styles including 60’s & 70’s Rock ‘n Roll, Rhythm & Blues, Rock, Soul Music and provides a unique style of entertainment for your gig.